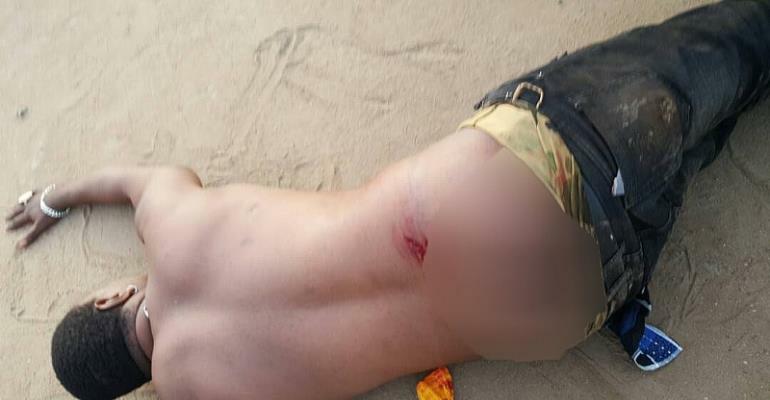 RESIDENTS OF Appolonia and its environs in the Kpone-Katamansu District of the Greater Accra Region, claim they are unsafe following the reported invasion of the area by heavily armed group who sporadically opened fire, injuring not less than seven people in the process. Victims of the act, including one Ali Mohammed, are currently receiving treatment at the Tema General Hospital. Some of the victims have been referred to the 37 Military Hospital in Accra as a result of the severity of the injuries they sustained. Properties such as vehicles and motorbikes were not also spared in the incident which has put most residents in and around the community in a state of shock and anxiety. Unconfirmed information gathered by DAILY GUIDE indicates that a minor is also battling with his life over bullet wound. The incident, which started from Appolonia through to Katamanso, has been attributed to land guard activities. High-level security personnel went to the area to commence investigations into the matter. According to our sources who witnessed the violent act, the heavily armed men invaded the area in saloon two cars, wielding different types of guns, including AK 47 assault rifles and started the mayhem without any provocation. Some of the residents who spoke to this paper said they are living in fear and have asked the Inspector General of Police (IGP), David Asante-Apeatu, to heighten security in the area. They said sometimes these armed thugs fire gunshots sporadically, scaring children and innocent families. “We are appealing to the Inspector General of Police to intervene in this matter to save the lives of innocent children, vulnerable individuals and properties,” a worried resident told this paper. Some of the residents are accusing the Tema police command of not handling the lawless activities of criminals properly. According to them, criminals had over the past few months been disturbing them, but several reports made to the police had yielded no results. They said that they had lost hope in the police, and that if the IGP did not act swiftly to address the land guard menace in the area, they would be compelled to take the law into their own hands.